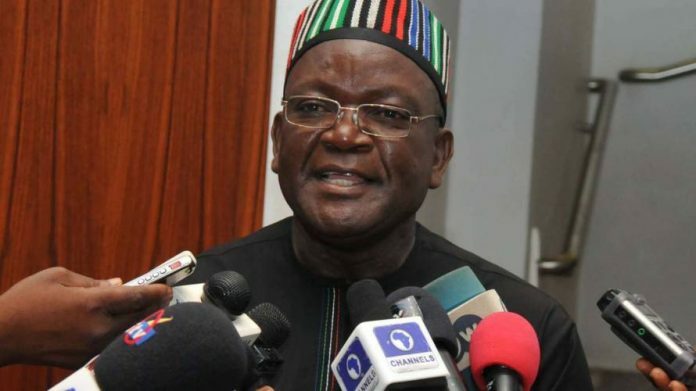 Latest News From Benue and Beyond! The Federal High Court in Abuja has dismissed the suit filed by the Benue State Government challenging the power of the Economic and Financial Crimes Commission to investigate accounts of the state. Delivering judgment on the suit on Monday, Justice Nnamdi Dimgba held that the suit was lacking in merit. The judge also held that the case was built on a misconception that the EFCC lacked statutory powers to investigate the financial activities of a state government. “I must make clear from the very beginning that it appears to me that this suit rests on a very serious factual fallacy and misconception. “It appears to be resting on the supposition that the EFCC is investigating Benue government with a view to establishing if the government has committed any of the economic and financial crimes or other offences, which EFCC is empowered to investigate and enforce. “This misconception partly arises from the collapse of Sections 6 and 7 and 38 of the EFCC Act by the plaintiff, and on that basis, submitting that a state government does not fall within the definition of any of the subjects that can be open to the investigative measures under Sections 7 and 38 of the Act. “This is because a state government can never be a “person, authority, corporation or company” as provided for in the Act. “As stated, it seems issues are being mixed up here and court must be careful not to allow itself to be pulled into this deep gully of misconception,” the judge said. Dimgba further held that the powers to fight corruption donated to the EFCC under Sections 6, 7 and 38 of its Act were broad and not limited to any geographical location. “Indeed, the definition of economic and financial crimes under Section 46 of the EFCC Act is so broad that it arises even in the context of the management of the financial resources of a state. He, however, cautioned the commission to carry out its statutory functions in such a way that it would earn public confidence and must be impartial and neutral. The Benue government dragged the EFCC to court over what it referred to as the frenzied investigation activities into its financial administration. The Attorney-General of the state, Mr. Michael Gusa, who filed on behalf of the government contended that the EFCC was not empowered by law to inquire into or investigate the financial affairs of Benue State. He contended further that if the EFCC wished to investigate it, it must first be empowered by a resolution of the Benue State House of Assembly. He also argued that the several and regular invitation of the officials of the Benue government by the EFCC to its head office in Abuja, constituted a clog to the administration of the state. The EFCC, however, maintained that its actions were based on intelligence reports and petitions by individuals and corporate persons on alleged misappropriation of funds belonging to the Benue government. Counsel to the Benue government, Mr. Emeka Etiaba (SAN), who was accompanied by the state’s attorney general confirmed that the state would challenge the judgment at the Court of Appeal. Benue Election Results News : Election Declared Inconclusive and Here Is Why !